The best part about baking is licking off the cookie dough. Unfortunately, the mature, wise adult in me knows that it’s not safe to eat cookie dough, as the raw ingredients may carry salmonella. 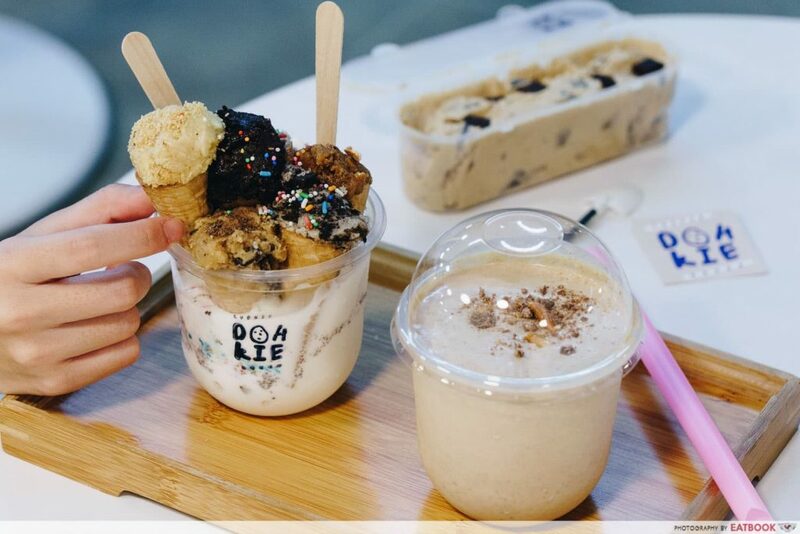 But don’t pout at this fact yet, my fellow cookie-dough monsters, as there is a stall in Singapore that serves up edible cookie dough! 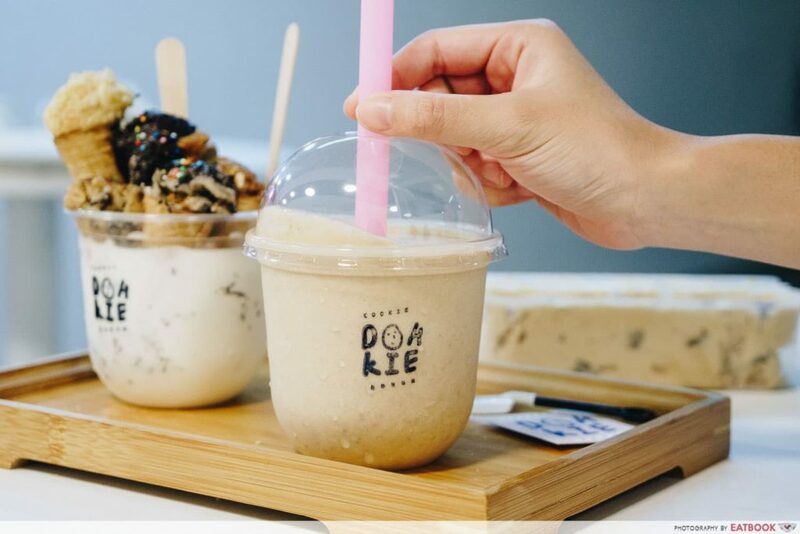 Inspired by the food trend that swept over L.A. last year, DOHKIE churns out a range of safe-to-eat cookie dough, where all the ingredients are heat treated to remove any harmful diseases. 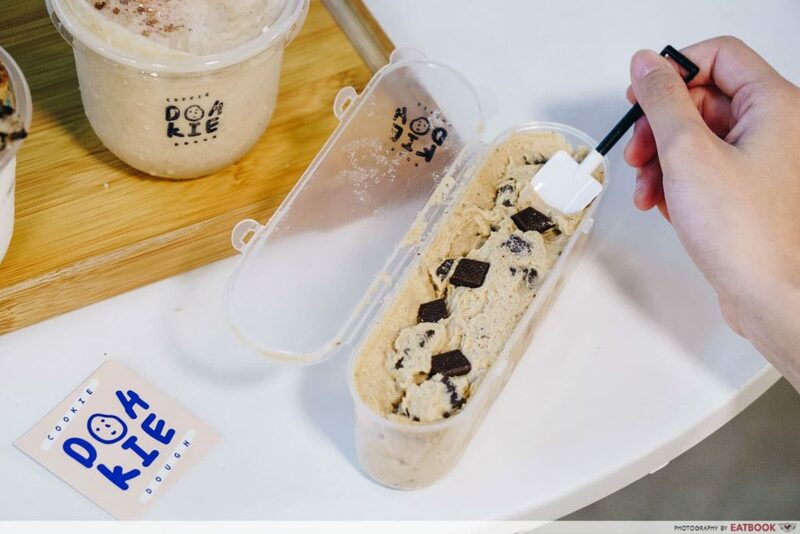 There are six flavours of edible cookie dough available, and you can try them all in the Decide For Me ($10). 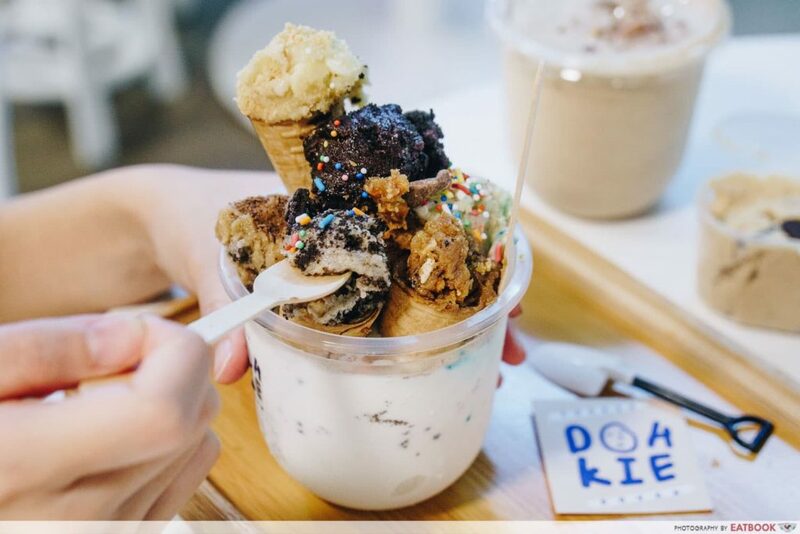 In this toothsome creation, six mini cones of cookie dough come stacked atop a generous swirl of vanilla soft-serve. We went straight for the Original Chocolate Chip, and were pleased to find that dark chocolate bits were used. The subtle bitterness helped balance off the sweet unbaked dough. However, we didn’t fancy the Brownie Batter, which was doughy in taste. This could because they used too much flour and not enough quality chocolate. 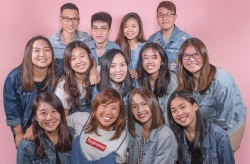 In the words of Ariana Grande, thank you, next. My favourite of the lot was surprisingly the Lemon Tart. It was light and zesty, and a nice alternative to all that chocolatey goodness. There are also white chocolate bits and crushed digestive biscuits within, giving a nice textural contrast to the sticky dough. 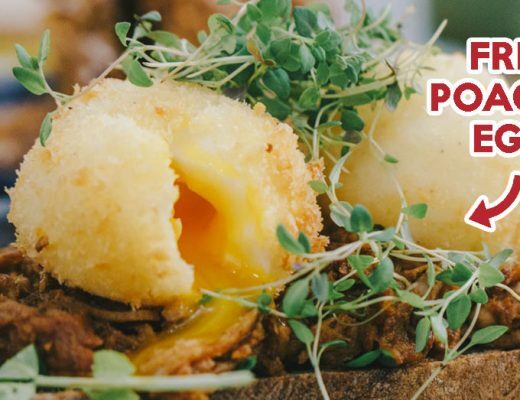 Another must-try is the Peanut Butter with broken pretzel. Its saltiness uplifts the sugary parts, so you won’t feel sick eating it all. 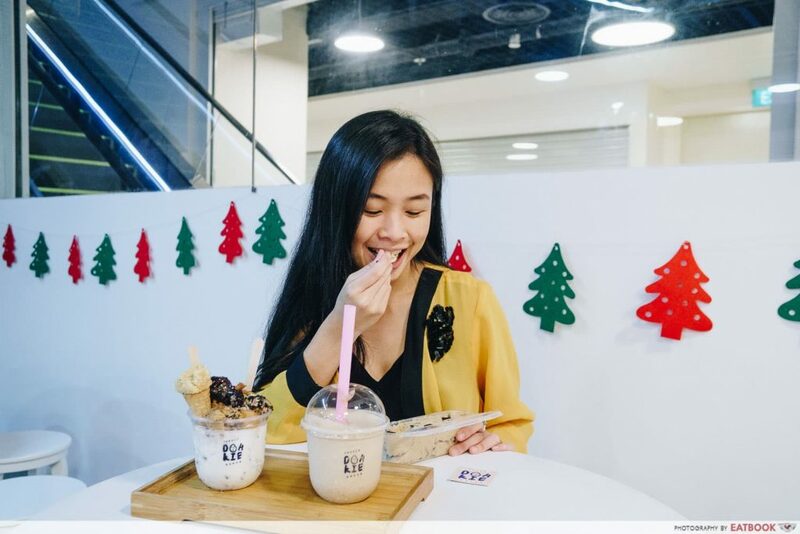 Tasting similar to its ice-cream counterpart, the Cookies And Cream came with chunks of chopped Oreos. On the other hand, the Birthday Cake gives a pop of colour to the brownish mix, thanks to the rainbow sprinkles. Its taste is nothing to shout about, but I do like that it is not as cloying as the rest. The soft-serve is necessary to balance out this sweet treat. It was a refreshing delight, and gave my palate a break from the saccharine cookie dough. They also offer Milkshakes at $7 for a regular cup. We decided to try the Peanut Butter Milkshake. 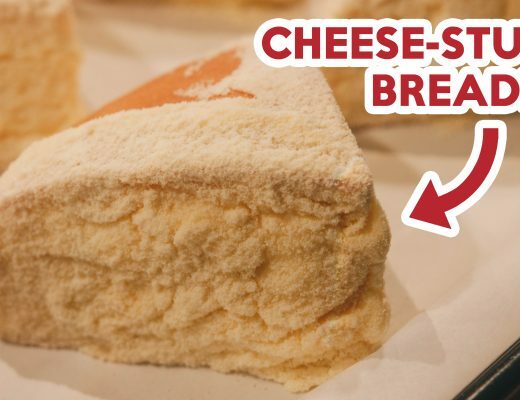 It turned out extremely tasty, with its contrasting flavours of sweet and salty. It can be a little heavy though, so don’t expect this to quench your thirst. I decided to take a tub of Doh ($10) home too, and my family loved it. They have a sweeter tooth than me and were able to lap it all up within seconds. The tub of Doh is highly recommended for picnics, as it doesn’t melt. 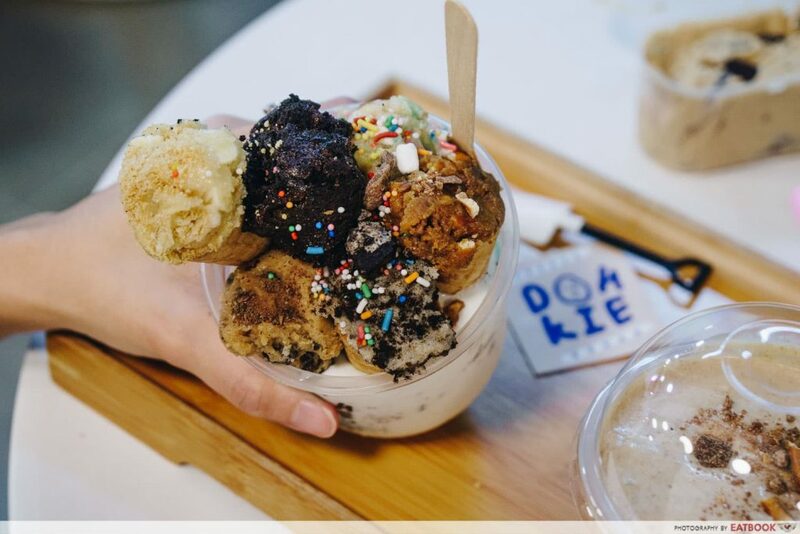 Hidden in the basement of Havelock II, a forgettable shopping mall near Clarke Quay MRT station, DOHKIE looks like any run-of-the-mill ice-cream parlour. It has an edgy feel, with neon signages and posters plastered on the walls. 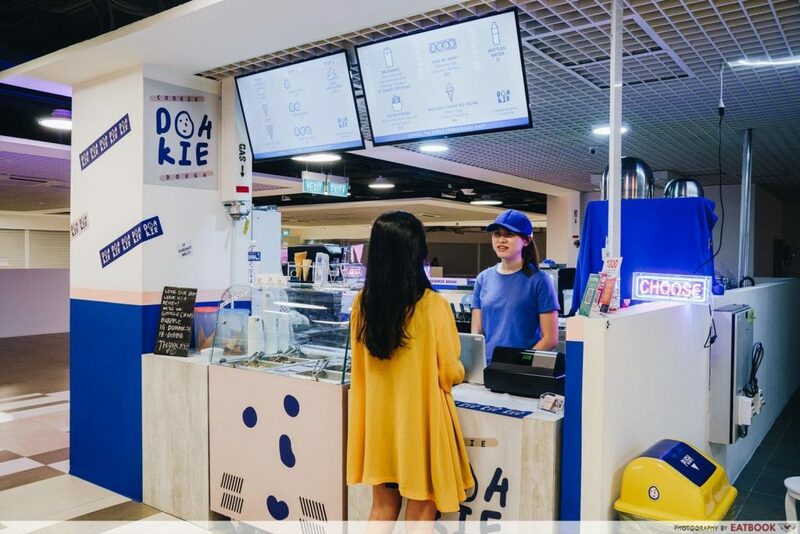 There are only two servers there, who will take your order with a smile and scoop up your preferred cookie dough from a clear freezer. Don’t make any rash decisions when choosing your flavour, as you can sample them all before making an order. For those dining in, there’s a small seating area by the side, although I’m not sure if its a temporary fixture until a new tenant moves in. 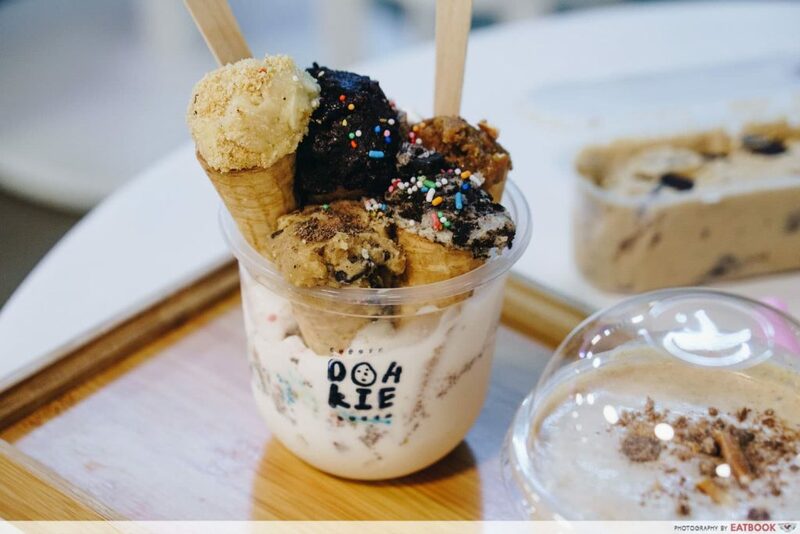 DOHKIE will awaken your inner child, with its flavours of tantalising edible cookie dough. You will need a really sweet tooth though, even if it’s for a single serving. 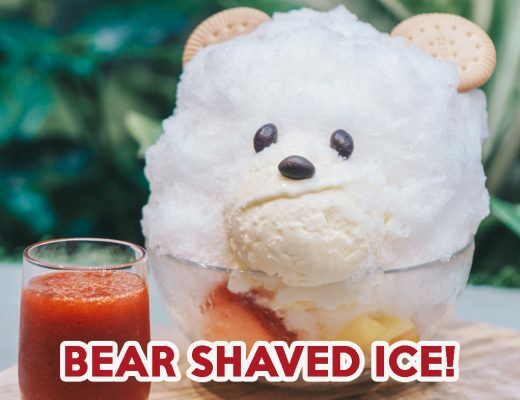 I don’t think I will ever come by for a scoop, but I will def’ order a tub of their Doh to pig out in the comfort of my home.